With over $100 million from its investors including Kleiner Perkins, Google Ventures, Shasta Ventures, and Lightspeed Venture Partners, among others, Nest is reported to have been on the verge of another $150 million raise in a Series D round and would have eventually gone public. Google’s acquisition of Nest gives the the co-founders an early exit and resources to up their hardware game. Nest is not Google’s first hardware acquisition. Two years ago Google bought Motorola Mobility to make its leap into the smartphone space, and just recently bought robot maker Boston Dynamics. Though thermostats might not be its major interest, social media is awash with claims that Google might tap Nest’s data to track how people use energy or simply track users’ homes for its Google Maps project. Others claim Google might integrate its Android OS with robots, smartphones, and connected cars to help run homes or factories remotely. Another media report says Google has been trying to develop its own energy monitoring space with an app dubbed Google EnergySense to monitor thermostats remotely. Nest gives it a second chance. Launched in 2011 by Tony Fadell and Matt Rogers, Nest is popular for its Nest Learning Thermostat, one that learns a user’s temperature preferences, which has been also been its top seller. The firm recently launched a smoke and carbon dioxide detector alarm dubbed Nest Protect, which it touted as the future of automation, a sector Google would be smart to dominate. Fadell and Rogers left Apple in 2010 to found Nest. Fadell is hailed as the father of the iPod, which later gave birth to Apple’s line of iPads and iPhones. The engineering skills the Nest team had would revolutionize any company, and now they are in Google’s hands. 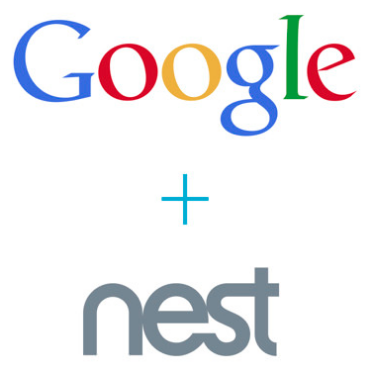 Nest and Google are not new to each other. As early as 2011, Fadell and Erik Charlton showed Sergey Brin a video of their early model of the Nest Learning Thermostat. Then in May the same year, Google Ventures led Nest’s Series B round, and a Series C round in 2012. The two firms have been partners ever since. The Nest Thermostat, and Nest Protect will continue supporting iOS, Android and modern web browsers so users can check in on their homes and control the temperature from wherever they are. For now, Nest’s products will not integrate with Google’s, so no Google+ sign-in, but this might be temporary. Nest will also be selling through the same partners in the US, Canada and the UK.